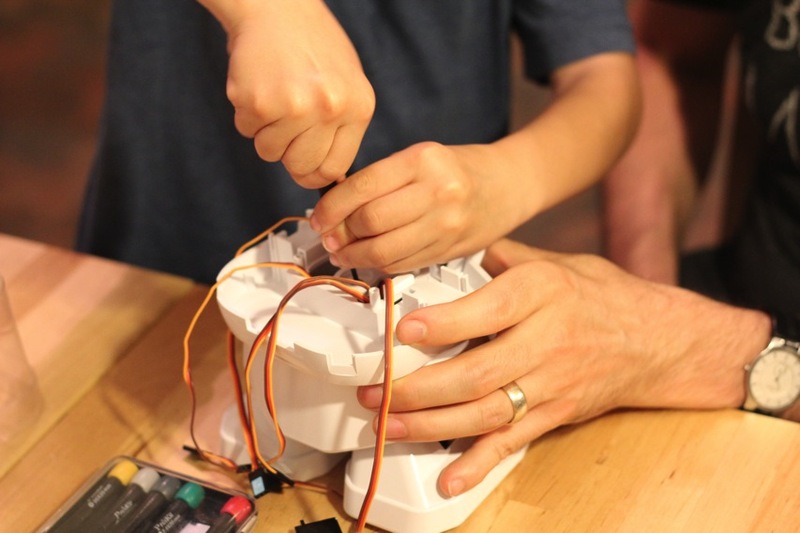 Weekend Family Project: Building Rapiro #piday #raspberrypi @Raspberry_Pi @ProjectRapiro « Adafruit Industries – Makers, hackers, artists, designers and engineers! 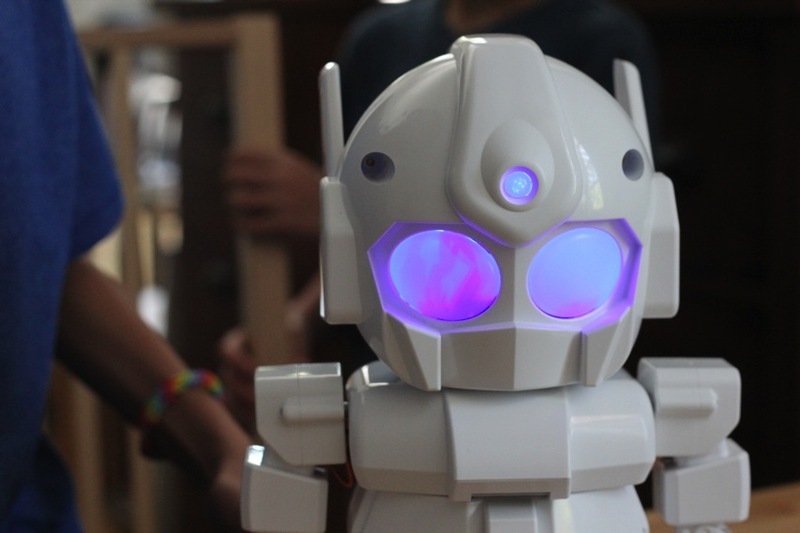 Last weekend, my family and I spent our time with Rapiro, an adorable, easy to assemble robot designed for Raspberry Pi. 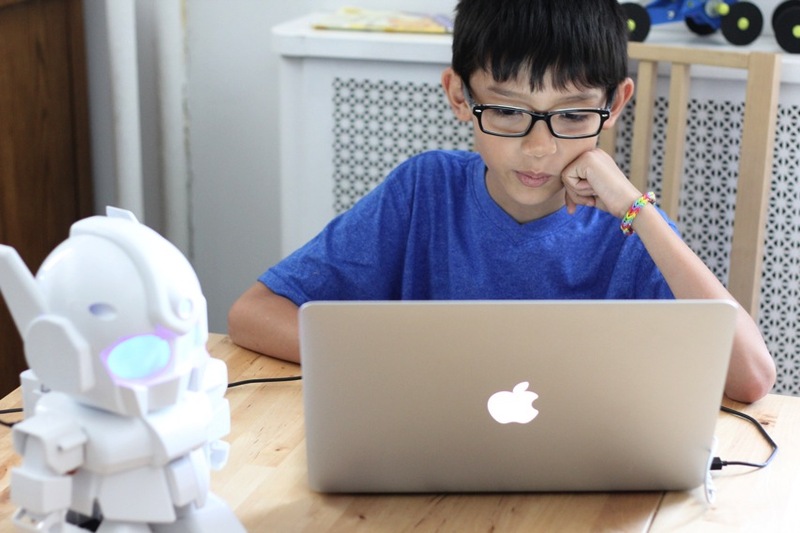 The kit is meant for ages 15 and up, however, with adult supervision, younger kids can have fun building and coding Rapiro as well! My boys are ages nine and six and they took interest in different parts of the building process. It was definitely a tag-team effort. My six-year-old enjoyed assisting in assembling the robot. With some help from his programmer dad, my nine-year-old enjoyed the programming piece. Here he is programming Rapiro to change eye color and walk. We found Rapiro to be a fun learning and teaching tool — perfect for a home or educational environment. We look forward to seeing what else we can program Rapiro to do!